Make no mistake about it: San Diego is a city that loves anything and everything with the word "craft" attached to it. Now that SD has dominated craft brewing and stepped up its drinking game with some pretty impressive craft cocktail programs, it was only a matter of time before craft distilling blew up. And it has! 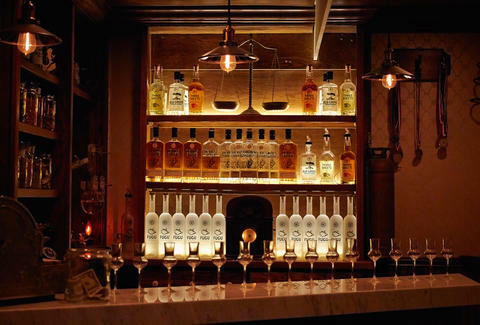 Here are seven places making the hard stuff that you'll want to put on your drinking agenda. Ballast Point was a part of the craft brewing scene in San Diego before there was such a thing as a craft brewing scene in San Diego, so it's no surprise that a decade later they opened the first craft liquor distillery in North County. They started off with their award-winning Old Grove gin in 2008 and productions have continued from there. Now they’re winning multiple awards for almost all of their 14 spirit varieties including gins, rums, vodkas, whiskies, and an herbal liqueur. They’ve even branched out into a couple of mixers for Bloody Marys and Mai Tais. Thanks to a change in California’s tasting room laws last year Ballast Point opened a speakeasy-inspired spirits tasting room at their Scripps Ranch location where you can taste six samples for $10 including some of their more limited offerings that you can’t get on the shelf. If the name Michael Skubic sounds familiar to you, it should. Not only is he the founder and head distiller of Old Harbor, he is also a co-founder of Hess Brewing Company in San Diego. He’s moved on from his beer brewing roots and has gone straight to the hard stuff by opening the first licensed distillery in the East Village. 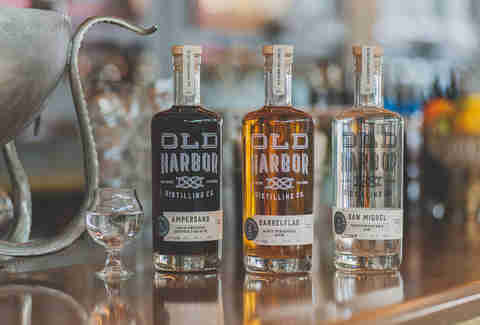 So far Old Harbor is distilling San Miguel Southwestern gin, 114-proof Barrelflag navy-strength rum, and Ampersand cold-pressed coffee liqueur that is a collaboration with Coffee & Tea Collective and will leave you wondering if you should lie down or run around the block. You can check out the distillery and sample the goods directly from the source by signing up for a tour on their website. Unless you’re a pirate, nobody in their right mind sits around sipping on straight rum. 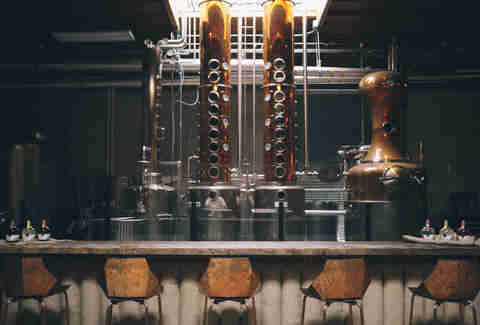 That’s why these guys decided to start their process from the cocktail and work their way backwards to create a spirit that will make the best rum and Coke you’ve ever had. They created a dozen different versions of their rum using every kind of sugarcane derivative and yeast they could find. After three months of putting all 12 to the test with several rum and Coke tasting panels, the Avalon was the clear favorite. 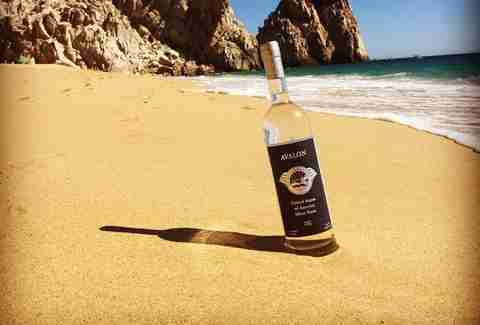 They must be doing something right because Avalon recently won a silver medal at the 2015 San Francisco World Spirits Competition and "Best of Category" at this year’s American Distilling Institute’s Annual Conference. You can visit their San Marcos distillery now for a tour and tasting, and plans are in the works for a dedicated tasting room when the law (hopefully) passes next January allowing distilleries to serve cocktails made with their spirits instead of just tasters. 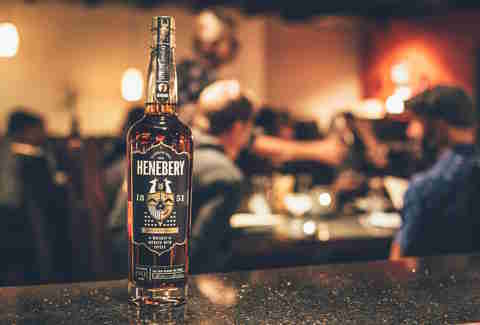 Thanks to Henebery Celebrated Whiskey you can now drink with a good conscience. The label on every bottle says “DARE MAXIMA VIRTUS” which is a fancy way of saying “giving is the greatest virtue.” Giving back to charity and their community is the core foundation of Henebery whiskey. The family-owned company is named after Matthew Henebery who was a distiller in Peoria, IL in the 1800s and one of the most philanthropic men of his time. Carrying on his legacy, this SD-based company actively participates in three to five charity events every month. Henebery also uses all organic ingredients like vanilla, cardamom, and citrus in their infusing process, which complements the grain of their naturally aged whiskey. 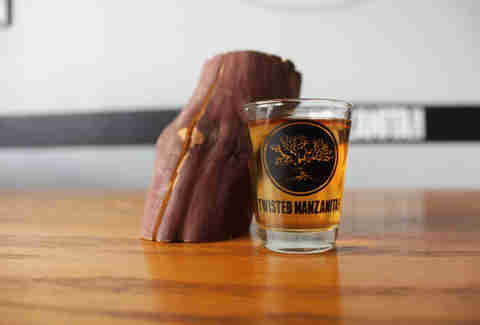 Like a few of our other local craft distillers Twisted Manzanita got their start in the beer-brewing business, but now they also think of themselves as a “new generation of moonshiners.” Choosing only raw, fresh ingredients Twisted Manzanita produces rye whiskey, orange vodka, and two kinds of moonshine year-round. Some of their seasonal liquors include cellos, apple and barrel-aged brandy, and even barrel-aged bacon moonshine. You can drop by their tasting room on Friday and Saturday nights when $5 will get you six quarter-ounce samples of their craft spirits and you can learn all about the distilling processes they use to make them. When Kill Devil started operations in 2011 they were the first licensed distillery in the city of San Diego since Prohibition. 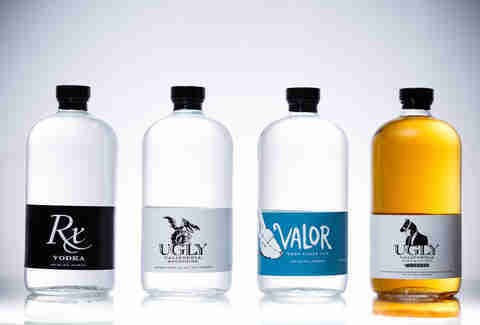 Currently they’re producing four different spirits including their Valor West Coast gin, which won them a gold medal at this year’s Distilled spirits competition at the Del Mar Fair. Leave it to a SoCal distillery to produce liquor that almost sounds healthy. Not only is Valor organic, but it’s also made with gin botanicals grown in-house, PH-balanced alkaline water from a local artisanal well, Cali-grown grapefruit, and, keeping true to San Diego, there are Chinook hops in the recipe. Kill Devil is also responsible for RX vodka, the first unfiltered vodka made in California since Prohibition. Ugly California Rise & Shine is their caffeinated moonshine born from a collaboration with local favorite Dark Horse Coffee Roasters. It’s made with premium Brazilian coffee beans and gives imbibers a whole new way to get their buzz on. You can visit their distillery and even customize your experience. Choose the Local, Tourist, or Celebrity package, the latter of which allows you to tour the distillery VIP style with hosted live music, luxury transportation, and other perks. During the days of Prohibition, Malahat was a five-masted rum-running schooner deemed “The Queen of Rum Row,” now it’s also a small-batch distillery in Miramar carrying on the ship’s legacy of delivering rum to San Diego. Malahat produces three core varieties of rum including three-time gold medal-winning spiced rum, a gold medal-winning white rum, and ginger rum made with hand-peeled ginger. Right now they also have limited-edition black tea rum on the market that mixes perfectly with lemonade to put a little kick in your Arnold Palmer. They are also working on Cabernet barrel-aged rum to be released this fall and have plans to begin distilling rye whiskey and bourbon as early as next year. Every part of their rum-making process is done by hand from the fermentation to the labeling of the bottles, but their attention to detail doesn’t stop there. Malahat’s tasting room doubles as a nautical-themed event space and was designed by local interior designer Michael Soriano (Pearl Hotel, Vin De Syrah, Queenstown Public House). Feel free to stop by the distillery Thursday-Saturday for tastings that include six samples and a glass to take home with you.